GAJOOB Magazine began as a print zine in 1986 and covered people making homemade albums and distributing them on cassette by mail. There was a network of people around the world trading tapes with zines like GAJOOB listing and reviewing them and putting people in contact with each other. It was given the name Cassette Culture an this is our side of the story. 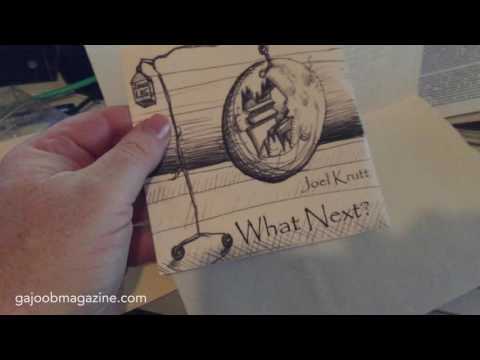 GAJOOB » YouTube » GAJOOBTube Envelope: Joel Krutt -- What Next? Opening an envelope dated 2004 from Joel Krutt -- it's his CDr What Next? See the listing at http://gajoobmagazine.com/joel-krutt/blog/55/joel-krutt-what-next.